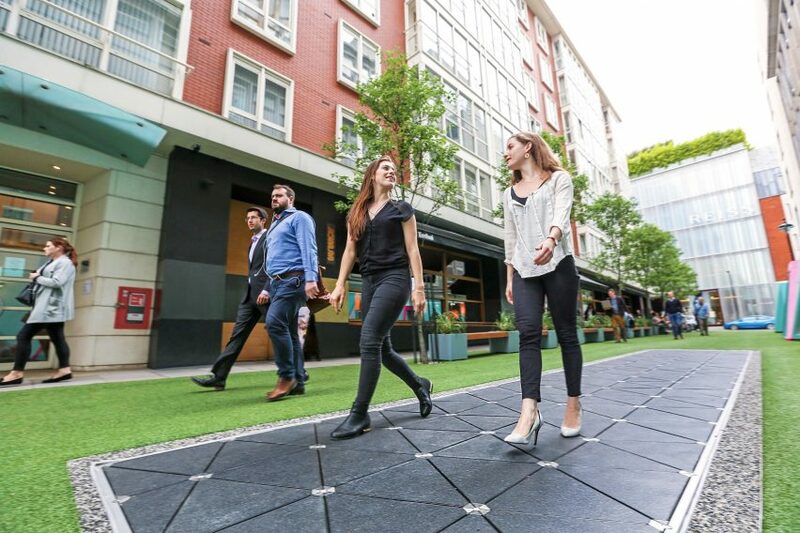 The company’s smart flooring solution relies on pedestrians to generate reusable energy strong enough to power public lightning. When stepped on, the tiles cause electromagnetic induction generators to move – setting off a rotary motion that in turn generates power. According to the company, one footstep is enough to generate the amount of off-grid energy needed to light an LED lightbulb for approximately 20 seconds. 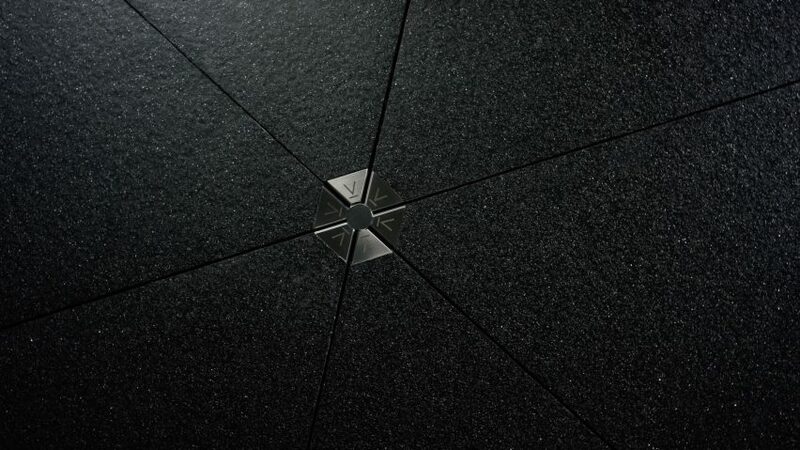 The tiles also have a wireless API sensor, which transmits data about movement behaviour in areas where Pavegen is installed. This can help to create an idea of peak times for foot traffic in an area, predict consumer trends, and create heat maps of popular urban spaces. When installed in a retail setting, visitors and customers in a shop are able to earn digital currency for every step that they take, which is collected using a smartphone app and could be used towards a purchase or to donate to charitable causes. “What that means is that if you walk into a retailer, you are powering 40 per cent to 50 per cent of the lighting,” said Laurence Kemball-Cook, CEO and founder of Pavegen. “As a user, the retailer would say Laurence, you have made 42 steps, if you can make 50 steps we’ll give you some money off your purchase, or even better, you can choose to donate that energy somewhere else,” he added. The technology was created out of a desire to make energy consumption and creation more tangible and approachable. The company claims it sought to find a way for people to further their understanding of issues relating to climate change and sustainability. The brand believes that it is the combination of physical participation and data collection that will aid the evolution of smart cities, as well as changing behaviours to address the issues facing urban spaces in the future. Pavegen was founded in 2009 and has completed over 150 projects globally. 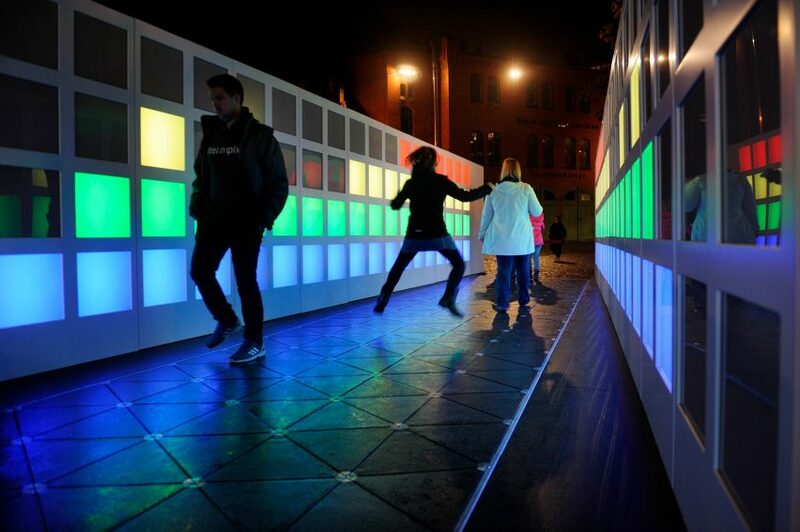 It offers permanent public and commercial flooring, as well as temporary installations for events. 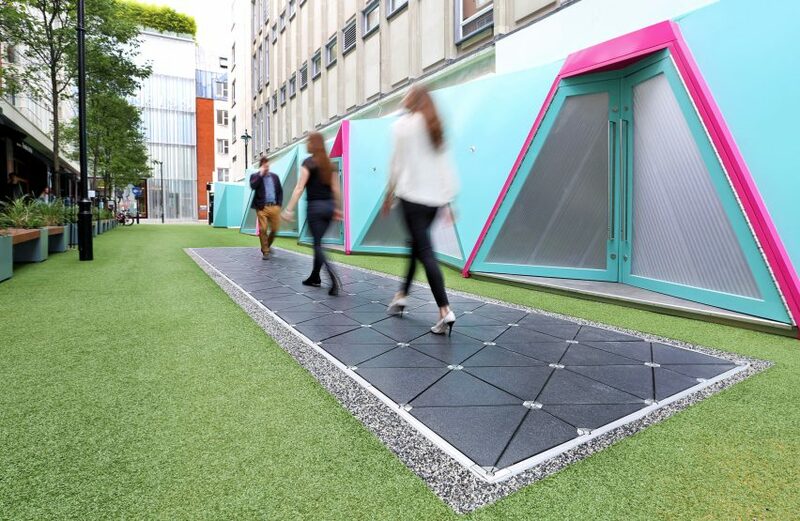 Be the first to comment on "Pavegen’s floor tiles could power future cities with footsteps"